After the incredible reaction to Anderson's first show with his mother, Gloria Vanderbilt, Anderson spends another hour with his mom, discussing surviving loss and re-building a life in the aftermath. 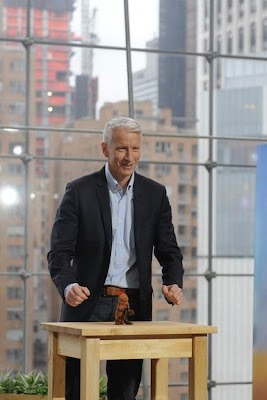 Anderson Cooper: His ratings have perked up after a month on air and stations like the show's production values but feel he needs to project a stronger personality. 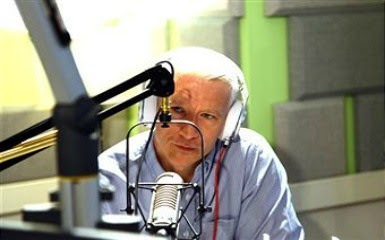 He needs momentum to get renewals and upgrades to better stations. Among the first-run rookies, Warner Bros.' Anderson equaled its highest rating thus far, improving 8% to a 1.4, despite being preempted several times for baseball in the major metered markets. Anderson, Anderson, Anderson. What is this hot mess of topics? I get how he's still trying to find his feet, but this is like some giant talk show buffet. And not a good buffet. And I'm talking buffet like you go to a Chinese place and a good 45% of the food has nothing to do with China. Thanks for the yorkshire pudding but I didn't come for that. Its like he's trying to be Oprah, Ellen, and Maury all at once. THIS is what you whip out for sweeps? I wish I could sit in on a pitch meeting. I would have fun. Lot's of "That's a good idea but how about no". I really wanted to give his show a chance, but this is starting to get silly. C'mon Andy! Cas, you are absolutely right. And to have HIS mother on again, is almost desperation! Yes, we all enjoyed her once, but how many times will he have her again?? The anderson we so admired was embarrassed to have Gloria on because it was HIS MOTHER! So we all understood and it was cute. Living in the tri-state, with Katie Couric coming up on ABC, Anderson will be lucky if he's still on PIX11 at 4PM. Five shows, eleven topics, not really interested in any of them enough to watch. It's nice Mom Gloria is there again, hopefully she'll lead off a strong week for "Anderson" and get him good Nielsen numbers for sweeps. When (and if) ATA has a clip of Wednesday's motorcycle rescue samaritans I'll watch it. The number of topics makes me think Anderson is trying to appeal to everyone, cover all the bases and leave no viewer out. But the topics for the most part are the "soccer mom" fare that daytime TV has been covering for a long while. Anderson is still searching for his daytime voice or persona or niche or something. That's going to take time. 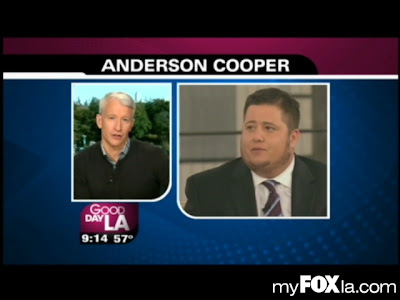 I would wait at least six months, maybe a year, for Anderson to figure this out. 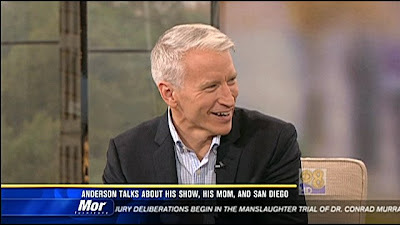 Around here, Anderson is on at 9 AM (CST) opposite Regis & Kelly, haven't heard yet where Katie Couric will be. Even though there have been some disappointments, I'm hoping "Anderson" can hang on. "Media Life talked of how the talk shows are fairing since Oprah left the air." It's positively unfair how badly spelling is faring these days. This last week I watched about 10 minutes of the polyamorous group and most of the interview with Chaz. The PA group seem like they are in total denial and although I enjoyed Chaz, it was disappointing that Cher couldn't talk for 3 minutes on television without multiple cursing. The interview wasn't about her. This coming week doesn't look interesting to me. I like his mom, but I'm not a huge fan. I really hope if he's going to do a large segment on dealing with loss that he has at least one expert on. His mom, although she has suffered significant losses in her life(most people her age have), she's not an expert and you are only seeing how she managed or not to cope with loss. I know that I am not a daytime talk show viewer. I consistently watch the Hot Topics segment of the View and that's usually it, so I'm not a valid viewer to critique Anderson's daytime show. I still enjoy the segments I always have on 360 and I'm truly hoping he's having a good time. I caught the part where he told Phil Donahue he had no idea how much work it was. I wonder if that energizes him to work even harder or if it makes him wonder what he got into?!? LOL No matter what, I wish him well. He's not used to failure and if he's using all his free time to promote his talkfest, things are not going well. own mom have to be included or Monday is a total rehash of when she was first on.